25 REFERENCES 1. Beynnon BD, Johnson RJ, Fleming, BC, Peura GD, Renstrom PA, Nicholas CE, Pope, and Pope MH: The effect of functional knee bracing on the anterior cruciate ligament in the weightbearing and nonweightbearing knee. 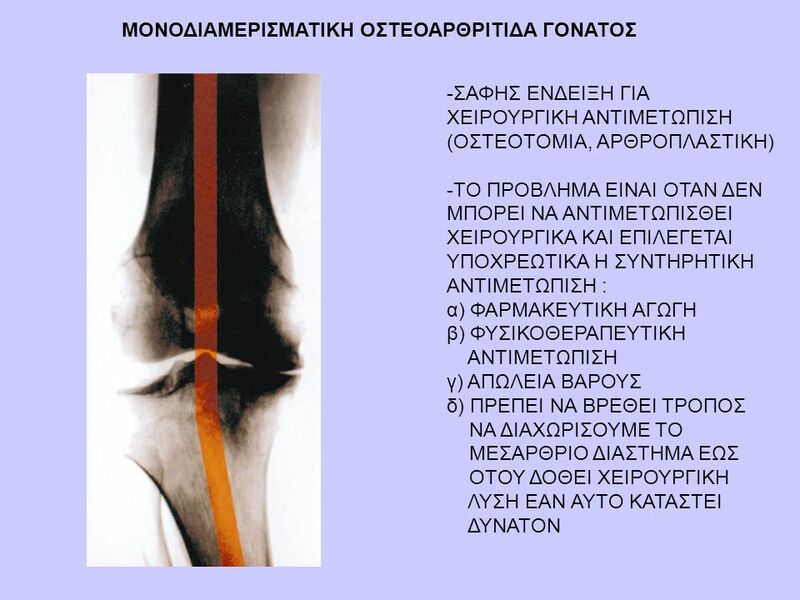 Am J of Sports Med 25(3): , 1997. 2. Bagger J, Ravn J, Lavard P, et al: Effect of functional bracing, quadriceps and hamstrings on anterior tibial translation in anterior cruciate ligament insufficiency. A preliminary report. J Rehabil Res Dev 29:9-12, 1992. 3. 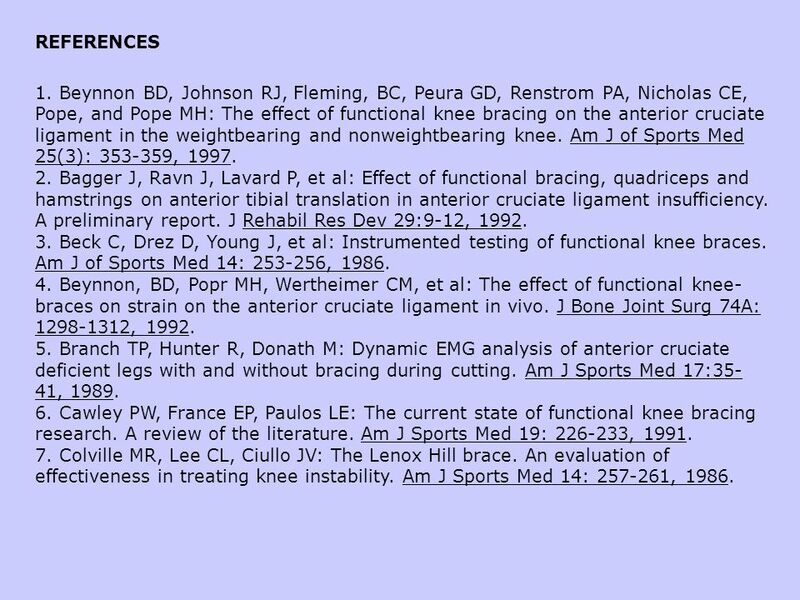 Beck C, Drez D, Young J, et al: Instrumented testing of functional knee braces. Am J of Sports Med 14: , 1986. 4. Beynnon, BD, Popr MH, Wertheimer CM, et al: The effect of functional knee-braces on strain on the anterior cruciate ligament in vivo. J Bone Joint Surg 74A: , 1992. 5. 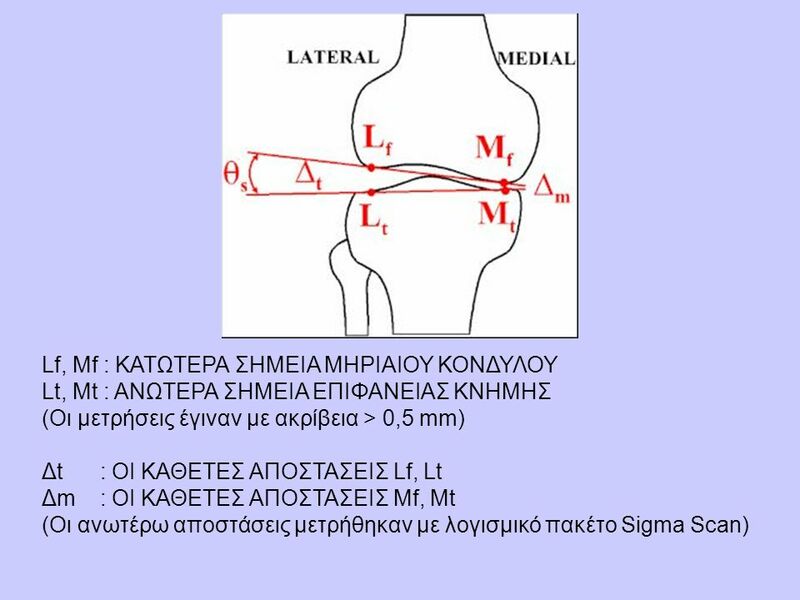 Branch TP, Hunter R, Donath M: Dynamic EMG analysis of anterior cruciate deficient legs with and without bracing during cutting. Am J Sports Med 17:35-41, 1989. 6. Cawley PW, France EP, Paulos LE: The current state of functional knee bracing research. A review of the literature. Am J Sports Med 19: , 1991. 7. Colville MR, Lee CL, Ciullo JV: The Lenox Hill brace. 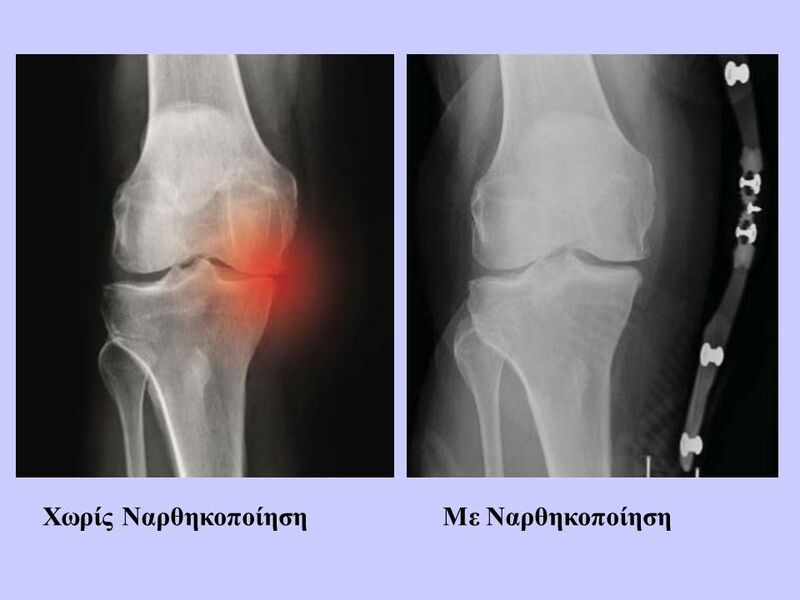 An evaluation of effectiveness in treating knee instability. Am J Sports Med 14: , 1986. 26 8. 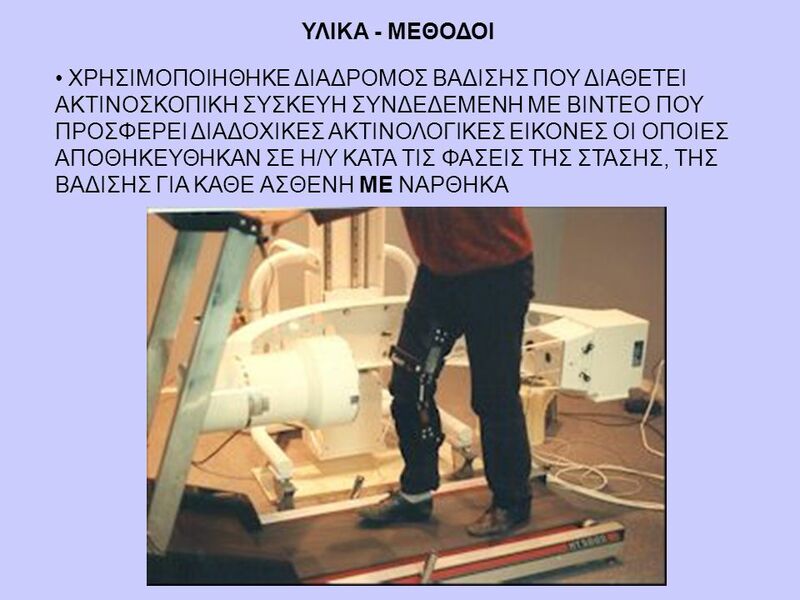 Cook FF, Tibone JE, Redfern FC: A dynamic analysis of a functional brace for anterior cruciate ligament insufficiency. Am J Sports Med 17: , 1989. 9. Jonsson H, Karrholm J: Brace effects on the unstable knee in 21 cases: A roentgen stereophotogrammetric comparison of three designs. 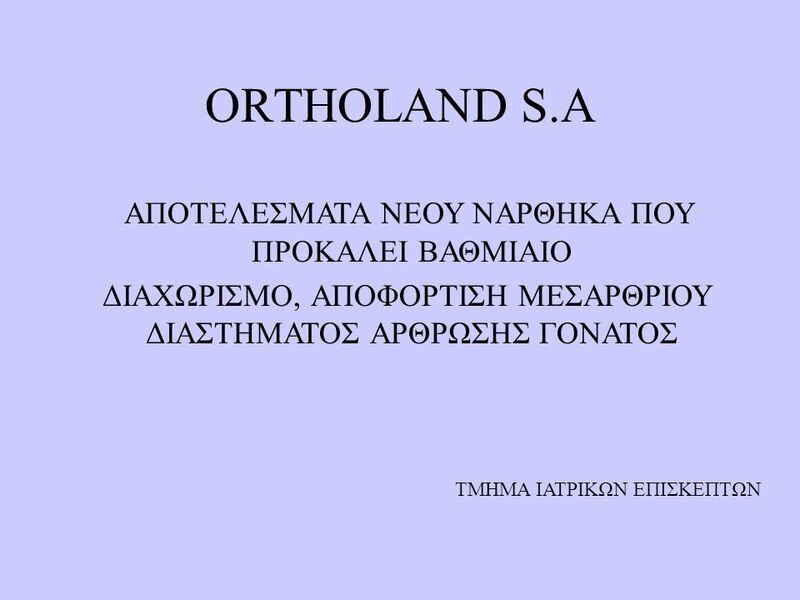 Acta Orthop Scand 61: , 1990. 10.Martin RC, Steadman JR: Quantitative analysis of anterior tibial translation using the MVP brace. 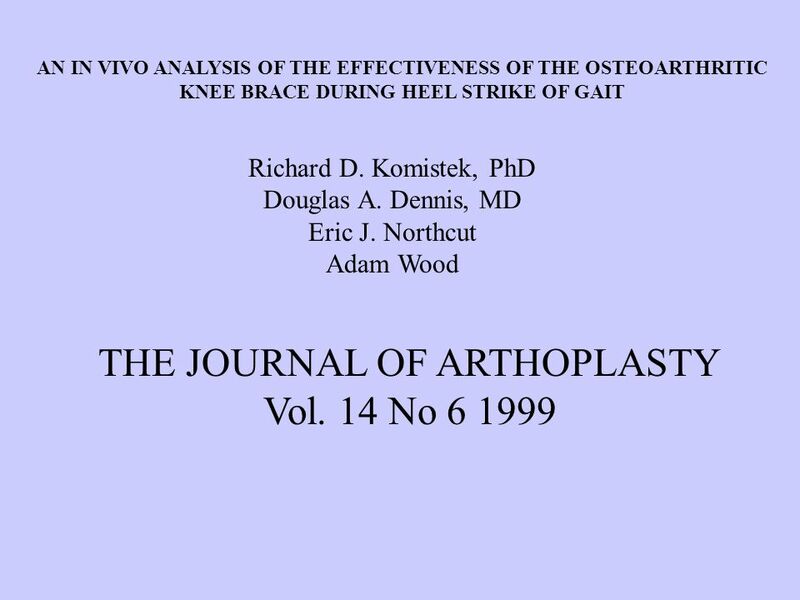 Am J Knee Surg 5: , 1992. 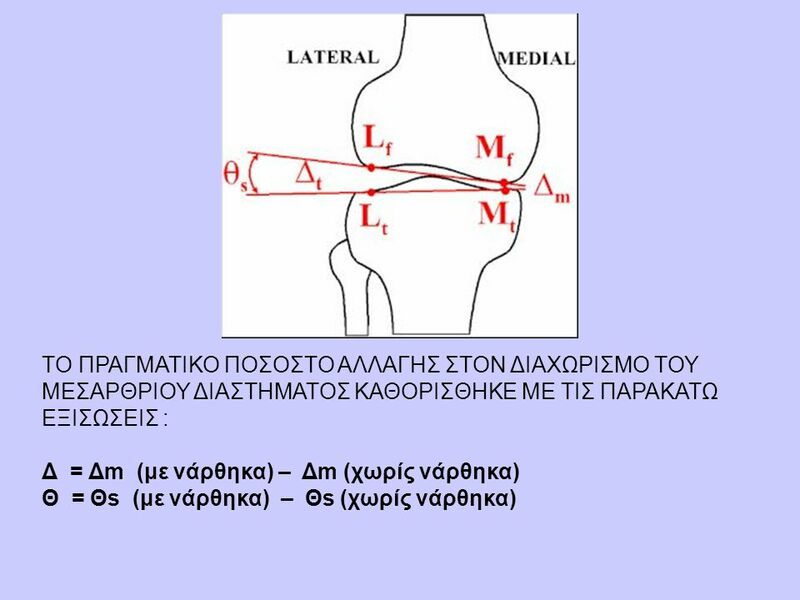 11.Mishra DK, Daniel DM, Stone ML: The use of functional knee braces in the control of pathologic anterior knee laxity. Clin Orhtop 241: , 1989. 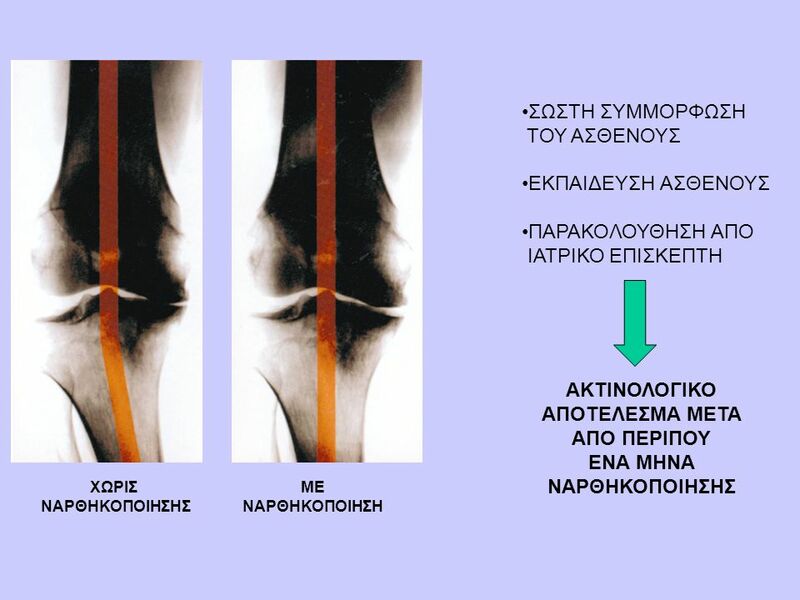 12.Pettrone FA, Rood C: A comparative study of brace effectiveness in the anterior cruciate ligament-deficient knee. 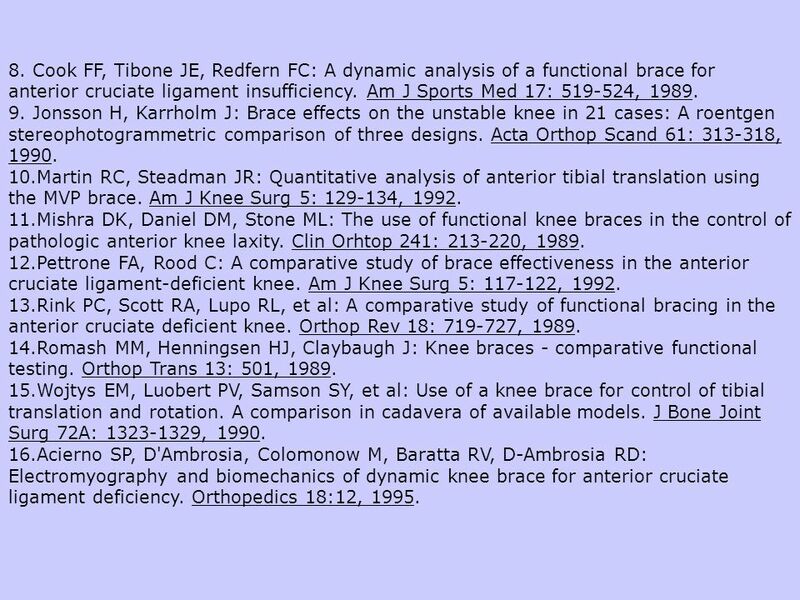 Am J Knee Surg 5: , 1992. 13.Rink PC, Scott RA, Lupo RL, et al: A comparative study of functional bracing in the anterior cruciate deficient knee. Orthop Rev 18: , 1989. 14.Romash MM, Henningsen HJ, Claybaugh J: Knee braces - comparative functional testing. Orthop Trans 13: 501, 1989. 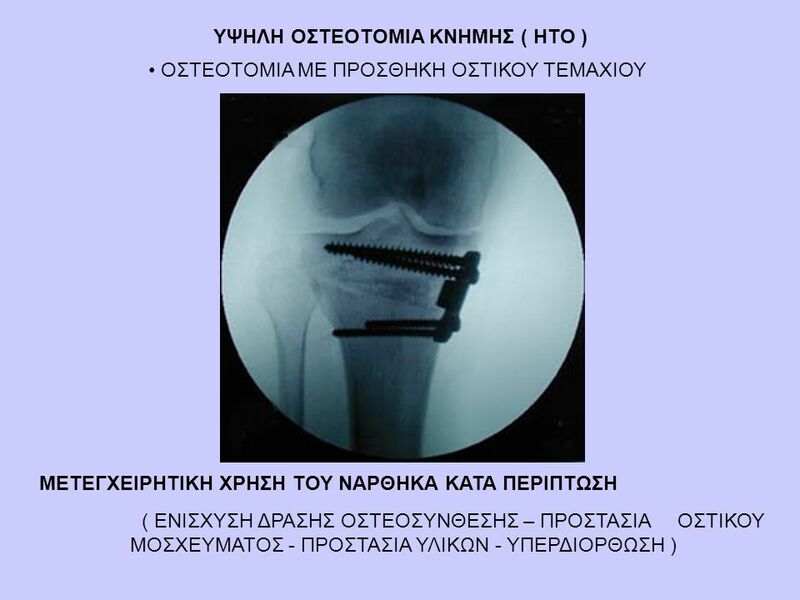 15.Wojtys EM, Luobert PV, Samson SY, et al: Use of a knee brace for control of tibial translation and rotation. A comparison in cadavera of available models. J Bone Joint Surg 72A: , 1990. 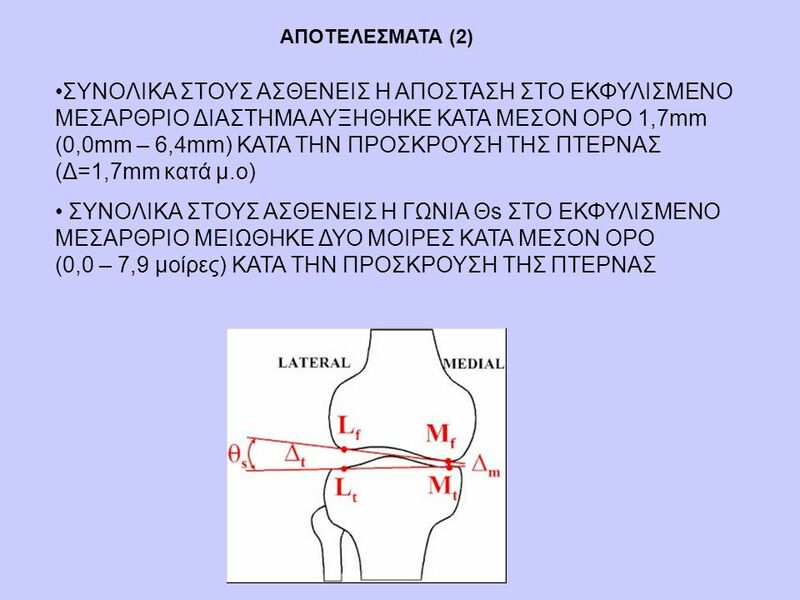 16.Acierno SP, D'Ambrosia, Colomonow M, Baratta RV, D-Ambrosia RD: Electromyography and biomechanics of dynamic knee brace for anterior cruciate ligament deficiency. 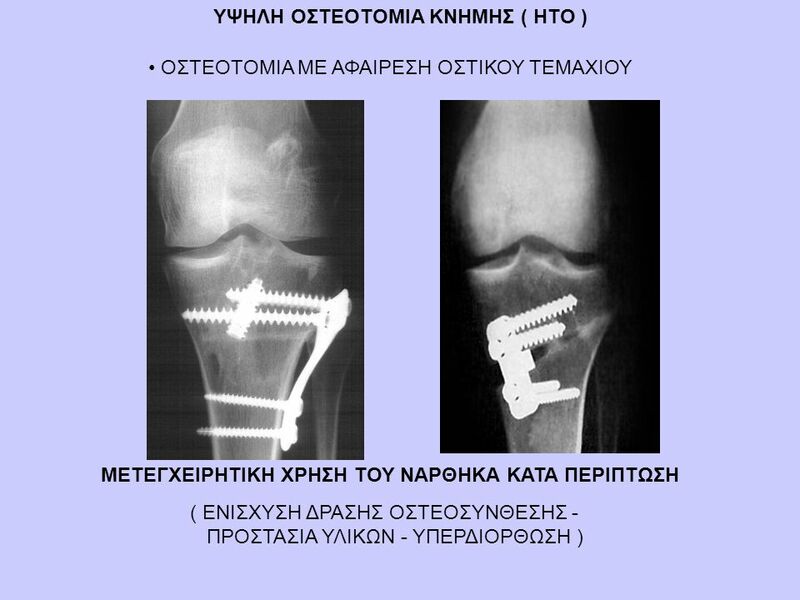 Orthopedics 18:12, 1995. 27 17.Feller, J, Bartlett J, Chapman S, Delahunt M: Use of an extension-assisting brace following anterior cruciate ligament reconstruction. 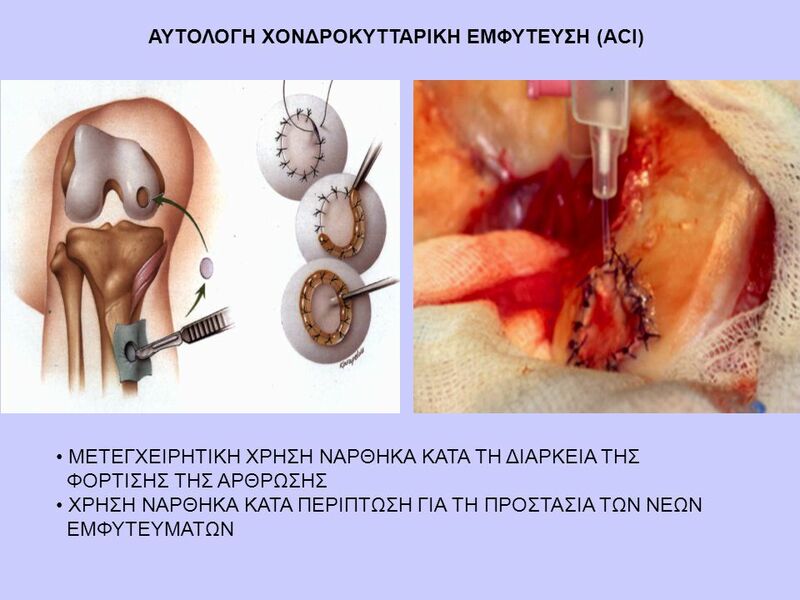 Knee Surg Sports Traumatol Arthrosc 5(1): 6-9, 1997. 18.Harilainen A, Sandelin J, Vanhanen I, Kivinen A: Knee brace after bone-tendon-bone anterior cruciate ligament reconstruction. Randomized, prospective study with 2-year follow-up. 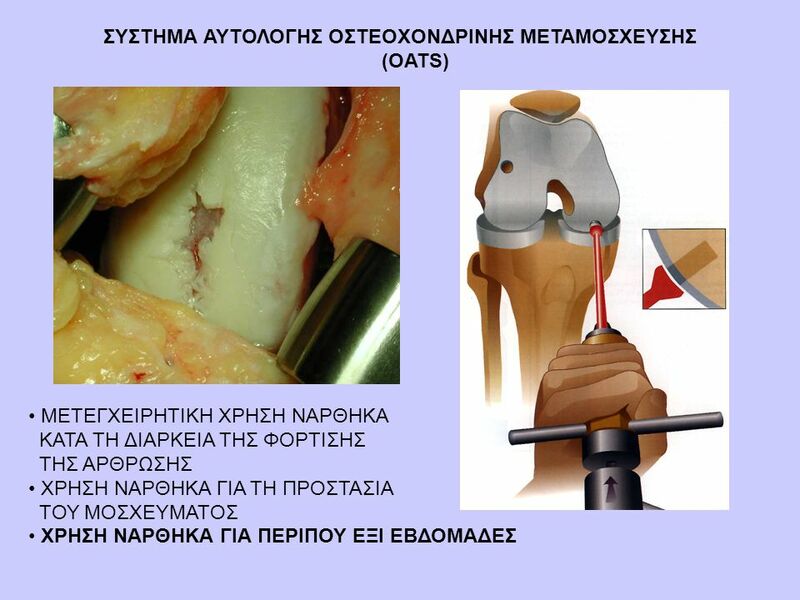 Knee Surg Sports Traumatol Arthrosc 5(1): 10-13, 1997. 19.DeVita P, Torry M, Glover KL, Sperone DL: A functional knee brace alters joint torque and power patterns during walking and running. J Biomech 29(5): , 1996. 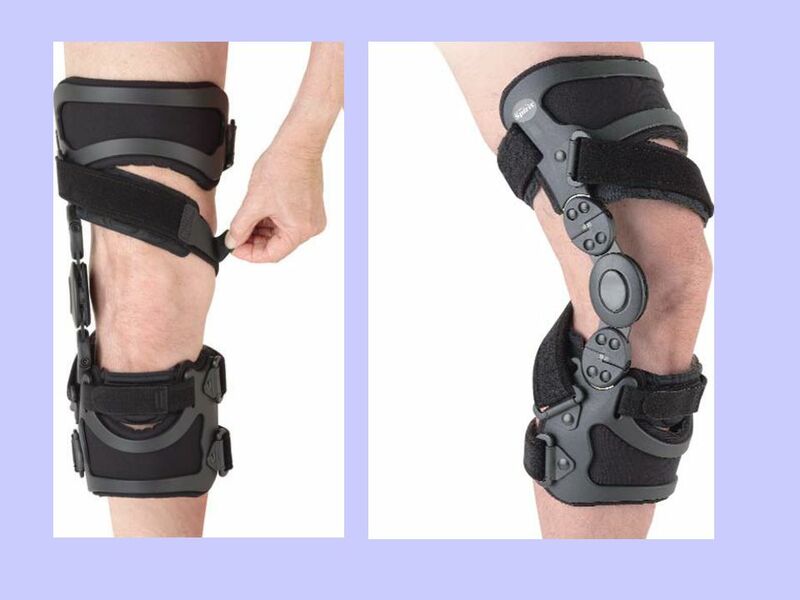 20.Alexander AH: In search of the perfect ACL brace. Am J Orthop 24(4): , 1995. 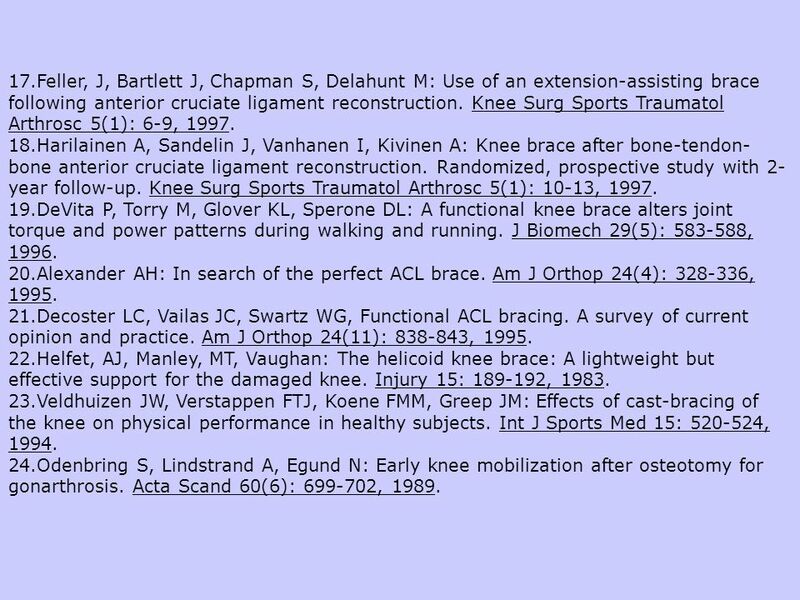 21.Decoster LC, Vailas JC, Swartz WG, Functional ACL bracing. A survey of current opinion and practice. Am J Orthop 24(11): , 1995. 22.Helfet, AJ, Manley, MT, Vaughan: The helicoid knee brace: A lightweight but effective support for the damaged knee. Injury 15: , 1983. 23.Veldhuizen JW, Verstappen FTJ, Koene FMM, Greep JM: Effects of cast-bracing of the knee on physical performance in healthy subjects. 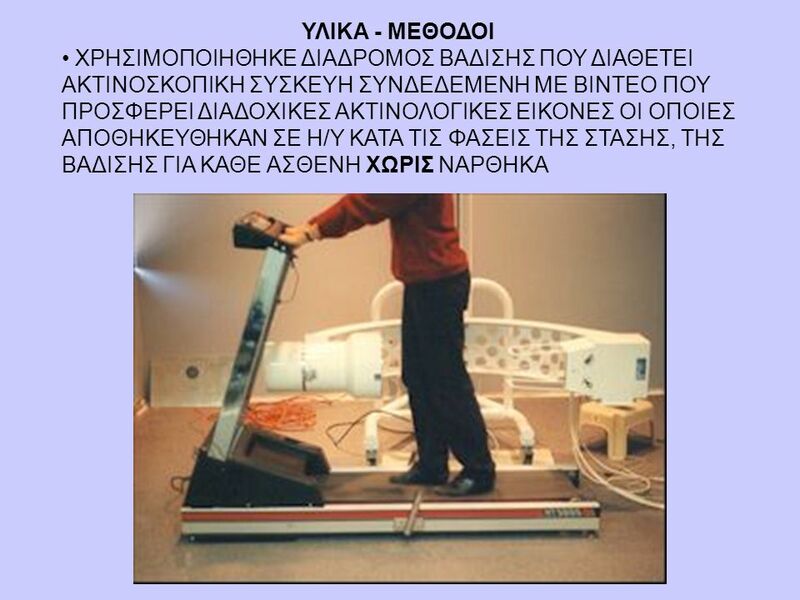 Int J Sports Med 15: , 1994. 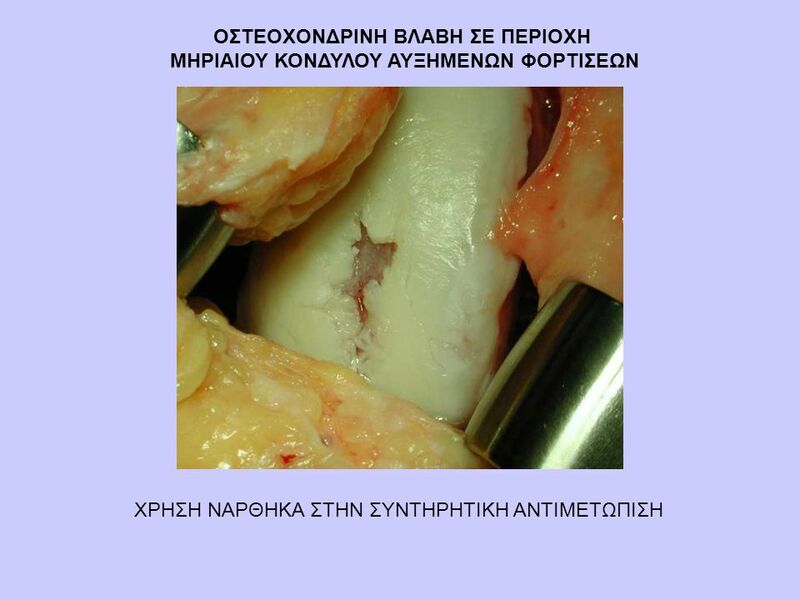 24.Odenbring S, Lindstrand A, Egund N: Early knee mobilization after osteotomy for gonarthrosis. Acta Scand 60(6): , 1989. 28 25.Matsuna H, Kadowaki, KM, Tsuji H: Generation II lnee bracing for severe medial compartmental osteoarthritis of the knee. 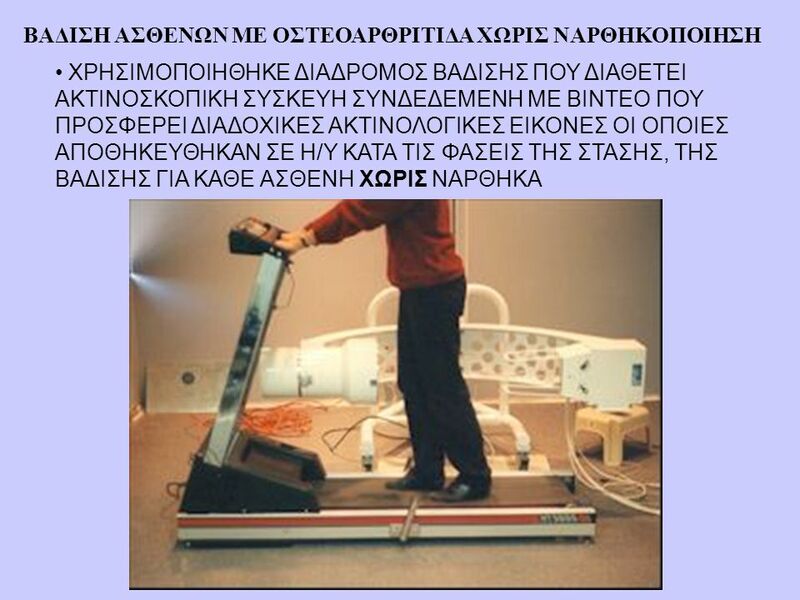 Arch Phys Med Rehabil 78: , 1997. 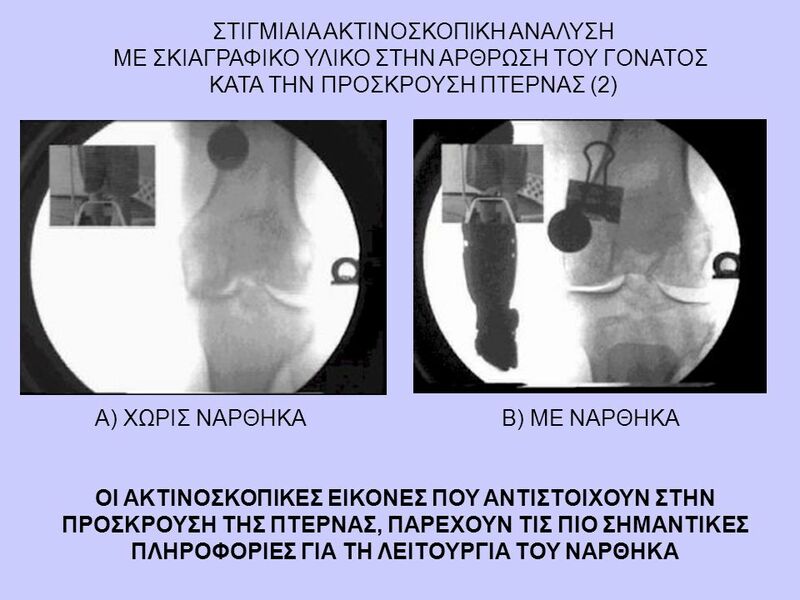 26.Jawad ASMm goodwill CJ: TVS brace in patients with rheumatoid arthritis or osteoarthritis of the knee. Brit J Rheum 25:4: , 19__. 27.Dennis DA Komistek RD, Hoff WA, Gabriel SM: In vivo knee kinematics derived using an inverse perspective technique. Clin Orthop, 331: ,1996. 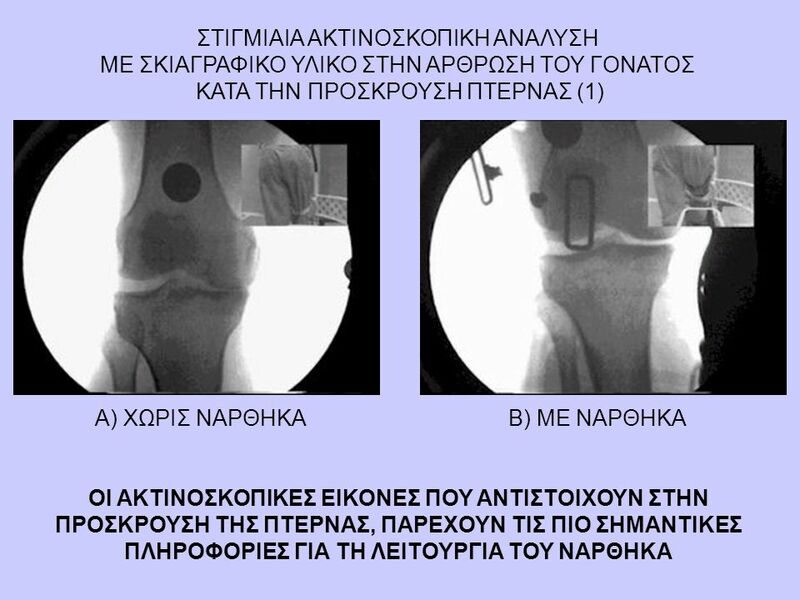 28.Steihl JB Dennis DA, Komistek RD, Keblish PA: In vivo kinematic analysis of a mobile bearing total knee prosthesis. Clin Orthop, 345: 60-66, 1997. 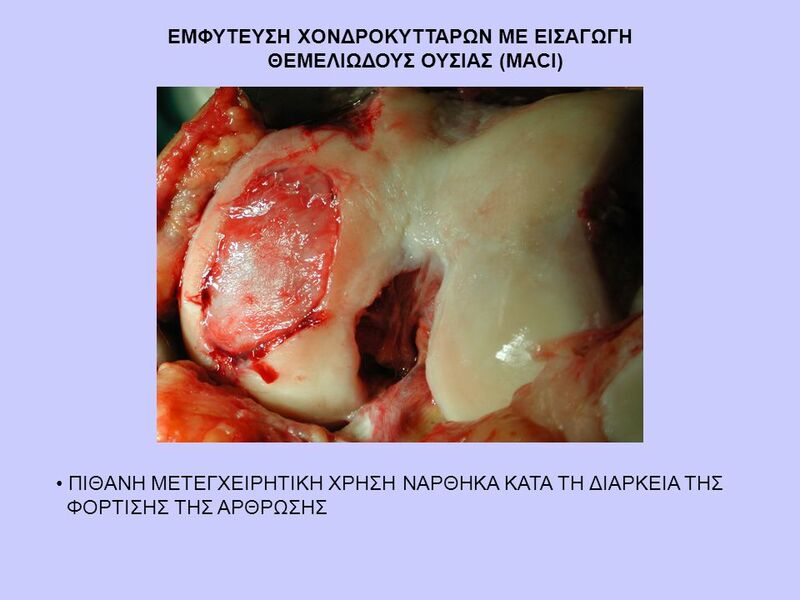 29.Myrnerts R. High tibial osteotomy with overcorrection of varus malalignment in medial gonarthrosis. Acta Orthop Scand 51: , 1980. 30.Tjornstrand B, Egund N, Hagstedt B, Lindstrand A: Tibial osteotomy in medial gonarthrosis. 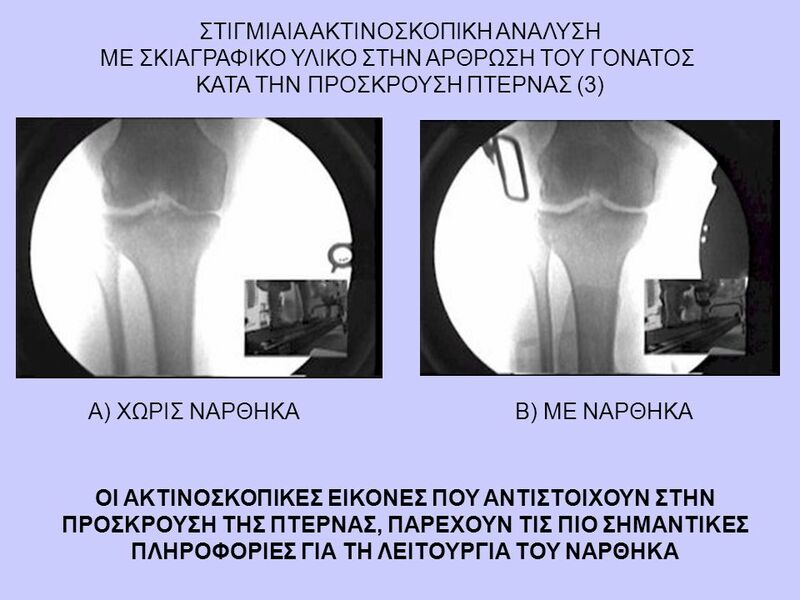 The importance of over-correction of varus deformity. Arch Orthop Trauma Surg 99(2): 83-89, 1981. 31.Kriegshauser LA, Bryan RS: Early motion with cast brace after modified Coventry high tibial osteotomy. Clin Orhtop 195: , 1985. 32.Hackel H, Schnidlmaisser H: Die Verwendung einer modifitzierten Stufenklammer zur gipsfreien Fixation bei der Coventry Osteotomie. Orthop Prax 20(11): , 1984. 33.Hackel H, Schnidlmaisser H: Die Kremser Klammer zur Stabilizierung der Coventry Osteotomie. Erfahrungen aus 132 Fallen. Orthop Prax 23(1): 68-72, 1987. 34.Heine J: Uber die arthritis deformans. Virchows Archiv 260: , 1926. Kellegan JH, Lawrence JS: Osteoarthritis and disc degeneration in an urban population. Ann Rheum Dis 17: , 1958. 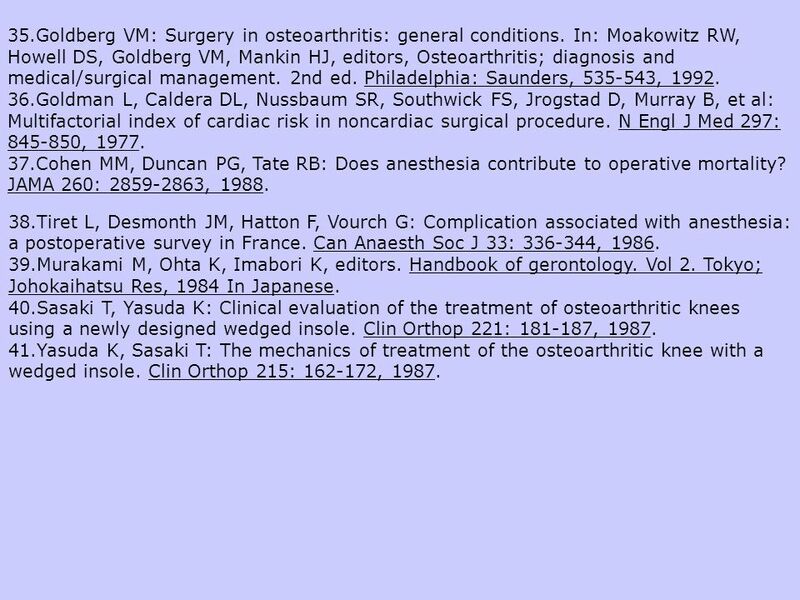 35.Goldberg VM: Surgery in osteoarthritis: general conditions. 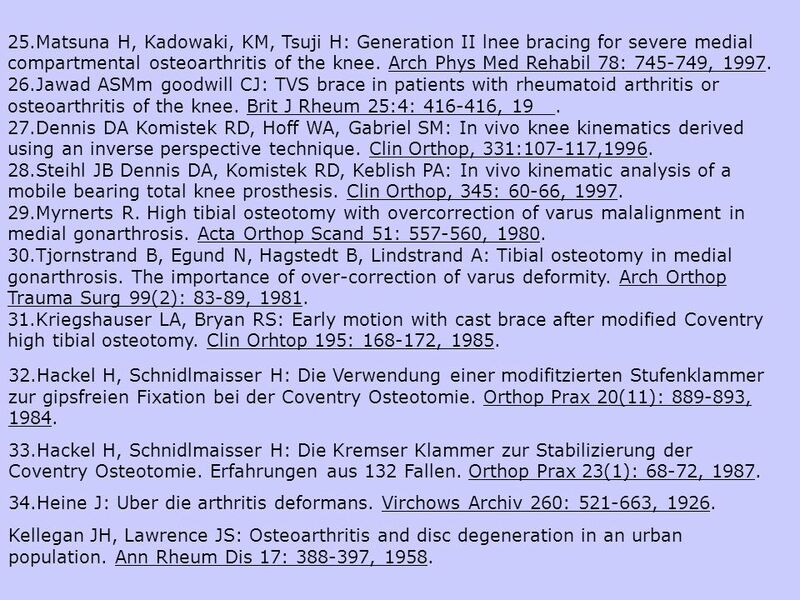 In: Moakowitz RW, Howell DS, Goldberg VM, Mankin HJ, editors, Osteoarthritis; diagnosis and medical/surgical management. 2nd ed. Philadelphia: Saunders, , 1992. 36.Goldman L, Caldera DL, Nussbaum SR, Southwick FS, Jrogstad D, Murray B, et al: Multifactorial index of cardiac risk in noncardiac surgical procedure. N Engl J Med 297: , 1977. 37.Cohen MM, Duncan PG, Tate RB: Does anesthesia contribute to operative mortality? JAMA 260: , 1988. 38.Tiret L, Desmonth JM, Hatton F, Vourch G: Complication associated with anesthesia: a postoperative survey in France. Can Anaesth Soc J 33: , 1986. 39.Murakami M, Ohta K, Imabori K, editors. Handbook of gerontology. Vol 2. Tokyo; Johokaihatsu Res, 1984 In Japanese. 40.Sasaki T, Yasuda K: Clinical evaluation of the treatment of osteoarthritic knees using a newly designed wedged insole. Clin Orthop 221: , 1987. 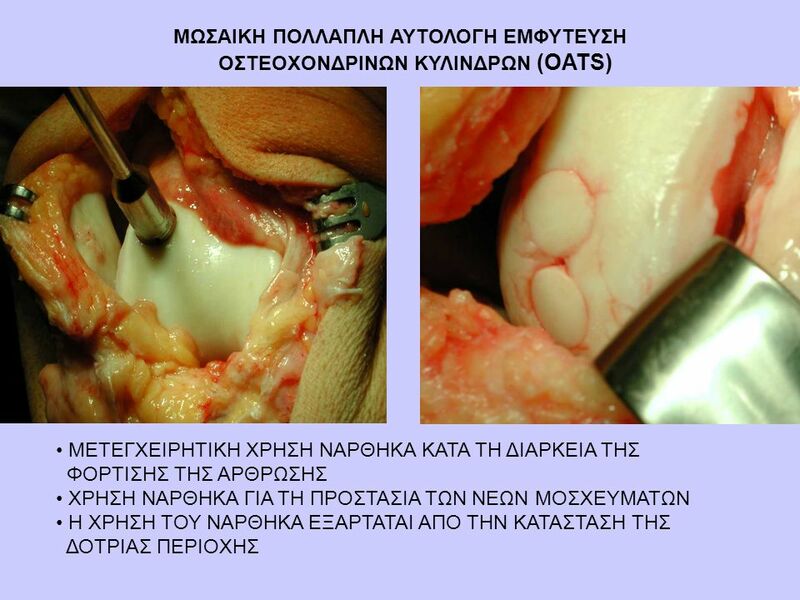 41.Yasuda K, Sasaki T: The mechanics of treatment of the osteoarthritic knee with a wedged insole. Clin Orthop 215: , 1987. 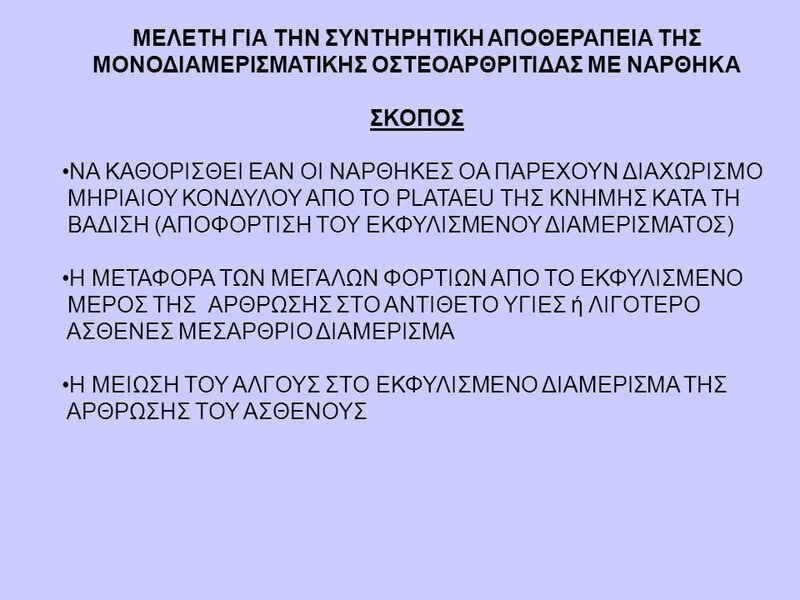 Κατέβασμα ppt "ORTHOLAND S.A ΑΠΟΤΕΛΕΣΜΑΤΑ ΝΕΟΥ ΝΑΡΘΗΚΑ ΠΟΥ ΠΡΟΚΑΛΕΙ ΒΑΘΜΙΑΙΟ"